Ford Mondeo Jaguar X Type 2.0 2.2 2001-2009 Tdi Exhaust Centre Front Flexi Pipe.GBP 20.29 View Item. Automatic transmission RPM Sensor. 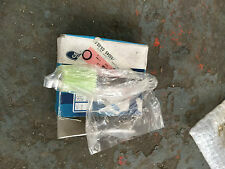 ford 4047431. ford 4383679. ford 4429622. At A to Z Autoparts, we have knowledge of the A to Z of Car parts and accessories. New Genuine speedo drive gear. Will fit many different models. New Intermotor automatic transmission sensor for Ford Mondeo, Maverick or Cougar, part number: 18996. Please check the part number to ensure that the item fits your requirements. FORD 1S7Z7M101KA, 4040494, 4047431, 4383679, 4429622, XS4Z7M101KA, XS7P7M101AA, XS7Z7M101KA. Function RPM Sensor, automatic transmission. Sensor Type Inductive Sensor. FORD COUGAR (EC_) 2.0 16V Coupe Petrol 08/1998 12/2001 FWD 16 131 96. FORD 3023785, 4628032, 6L8P7H103AA, 6L8Z7H103AA, F8RP7H103AA. Function RPM Sensor, automatic transmission. Sensor Type Inductive Sensor. FORD COUGAR (EC_) 2.0 16V Coupe Petrol 08/1998 12/2001 FWD 16 131 96. 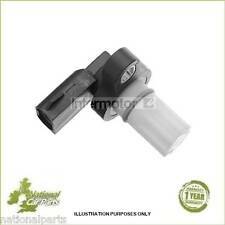 A new speed sensor for the Ford Maverick and Mondeo Mk3. The part is marketed by CI Ignition and their reference number is XREV219. Have a good look at the photo because it is exactly what you will receive. If you are unsure if it fits your car please send your make models and registration number and we will check it for you. The package will be dispatched by 2nd class mail or by 1st class if you require a faster service. Part Number LBLS105. LEMARK BRAKE LIGHT SWITCHES FOR FORD MAVERICK 3.0 2004-. Model MAVERICK. Number of Valve(s) 4. Drive All-wheel Drive. Length (mm) 75. Quantity 1. Type 3.0 V6 24V. Part Number LCS212. LEMARK CRANK SENSORS FOR FORD MAVERICK 2.0 2001-. Model MAVERICK. Connecting Angle (Degree) 45. Drive All-wheel Drive. Quantity 1. Fuel Type Petrol. Width (mm) 50. Sensor Type:Inductive Sensor. Width:50 mm. Spark Plug Cable:Copper Core Cable. Resistance:850 Ohm. Number Of Poles:2. Part Number LBLS105. LEMARK BRAKE LIGHT SWITCHES FOR FORD MAVERICK 2.3 2004-. Model MAVERICK. Number of Valve(s) 4. Drive All-wheel Drive. Length (mm) 75. Quantity 1. Type 2.3 16V.